PixelPin, a UK start-up that uses image-based authentication to replace passwords with pictures, has closed a £1.5 million pre-Series A funding round. The round was led by SBI Investment, a subsidiary of SBI Holdings, the biggest internet financial group in Japan formerly known as Softbank Investment. SBI Investment invested £1 million from the SBI AI and Blockchain Fund. An additional investment of £500,000 from existing Angel investors completed the round, bringing it to £1.5 million in total. FIDO-certified PixelPin will use the new funds to target new customers in the finance and retail sectors and support continued product development. In addition, the funding is being used to establish new offices in Tokyo to act as a base for the company’s expansion into Japan and the wider Asian market. The company already has offices in London and Cheltenham. PixelPin’s cloud-based platform, hosted on Microsoft Azure, replaces passwords and PINs for personal and user-friendly means of logging into their online accounts for banking, shopping and more. 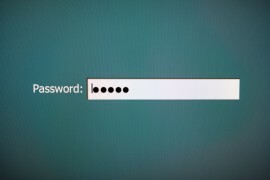 Instead of remembering a password or PIN, users can select a picture and four specific points on that picture that must be selected in sequence to log in to their online accounts. “For everyone who has been locked out of their online banking for guessing their logins one too many times, it’s clear that the passwords and PINs we’re forced to use aren’t fit for purpose,” says Yoshitaka Kitao, representative director, president and CEO of SBI Holdings. The SBI AI and Blockchain Fund was established in January 2018 to identify and support promising fintech ventures across the globe, with a targeted commitment of JPY 60 billion ($540 million) and successfully closed in December 2018. In addition to the financial commitment, the fund is intended to foster cooperation between the Japanese investment group and innovative companies from regions of fintech excellence, such as London.